The partypoker LIVE MILLIONS series hits its North American stop in Montreal in late April for a CAD $10 million guaranteed event. The buy-in for the event is CAD $5,300 but New Jersey online player Dan ‘dazedace’ DiZenzo is playing for one-tenth of that amount. 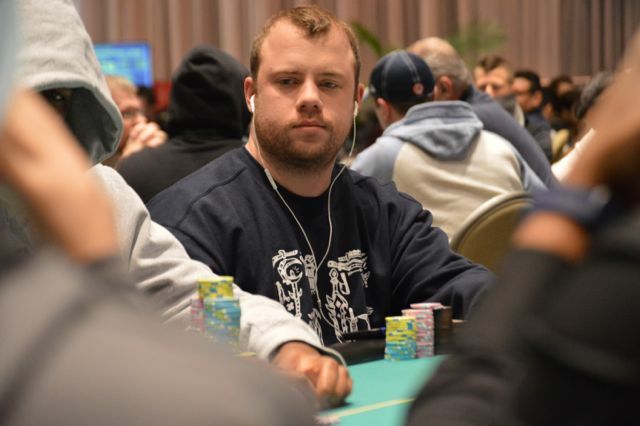 DiZenzo earned his seat via satellite on partpokerNJ and is one of close to three dozen players from New Jersey to earn a qualifying seat. The traveling pro has cashes in New Jersey, Pennsylvania, and Nevada so far in 2018 and could not miss a chance to win a seat to one of the largest events in the world. Between October, the month when he won the PokerStarsNJ NJCOOP Main Event, and his satellite seat finish, DiZenzo had not recorded an online cash, according to PocketFives. Sometimes it can take players a couple tries to win a satellite seat but DiZenzo claimed his on the first try. DiZenzo says he ran well during the middle stages of the tournament and “cruised” to the final table. DiZenzo has been a part of the New Jersey online ecosystem since play opened in 2013. A veteran of his experience recognizes the impact qualifiers can have on growing a player pool and looks forward to future offerings. Second Chance On The Way? A massive score like the one DiZenzo speaks of almost happened for him in November of last year. DiZenzo took eighth place in a field of 1,061 at the partypoker Caribbean Poker Party Main Event in Punta Cana won by Sam Greenwood for $1 million. The $70,000 score for DiZenzo might have been more were it not for pocket kings getting cracked right before the final table. The cash was the fifth-largest in a career that includes almost $2 million in combined live and online earnings. Although he fell short in a painful fashion of a life-altering win, DiZenzo had a positive enough experience with the partypoker brand to be hyped for the upcoming Montreal event at the Playground Poker Club. DiZenzo logs his share of miles every year but this is the first time he is traveling beyond the wall to play in Montreal. An avid foodie as well as a poker player, DiZenzo looks forward to all that the city has to offer. MILLIONS North America marks one of the final events for DiZenzo before he makes the annual trek for a summer in Las Vegas. In that time, it is possible that the online pipeline between New Jersey, Nevada, Delaware, and possibly Pennsylvania will officially open. Is that pipeline enough for DiZenzo to cut back on his travel and play more online? He’s weighing the options.